Driving along the rural highways in southeast Missouri, travelers may notice an abundance of farmland. Amid this farmland though, near East Prairie, 1,029 acres of the area's original landscape has been preserved and stands out above the rest. This island of trees in a sea of agriculture is known as Big Oak Tree State Park. 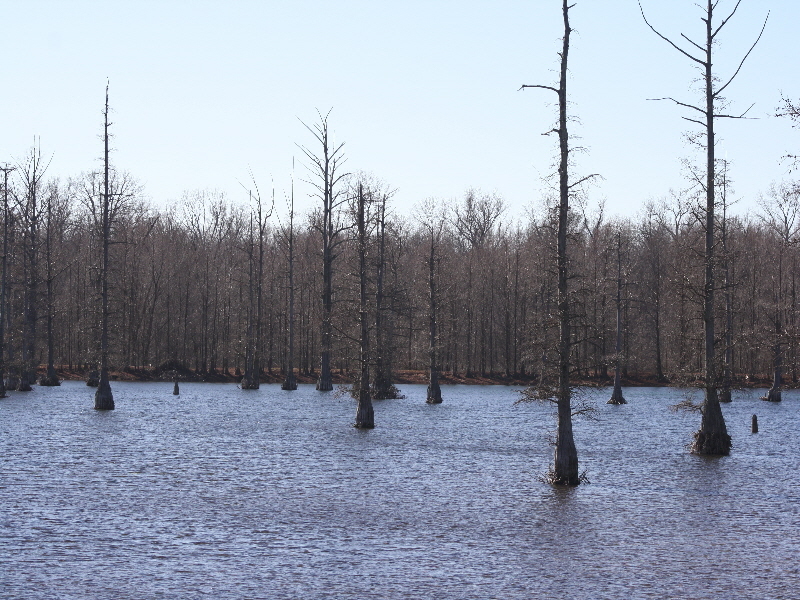 Flood plains covered with giant trees that once greeted early explorers to the "Bootheel" region of the state have been preserved in Big Oak Tree State Park. 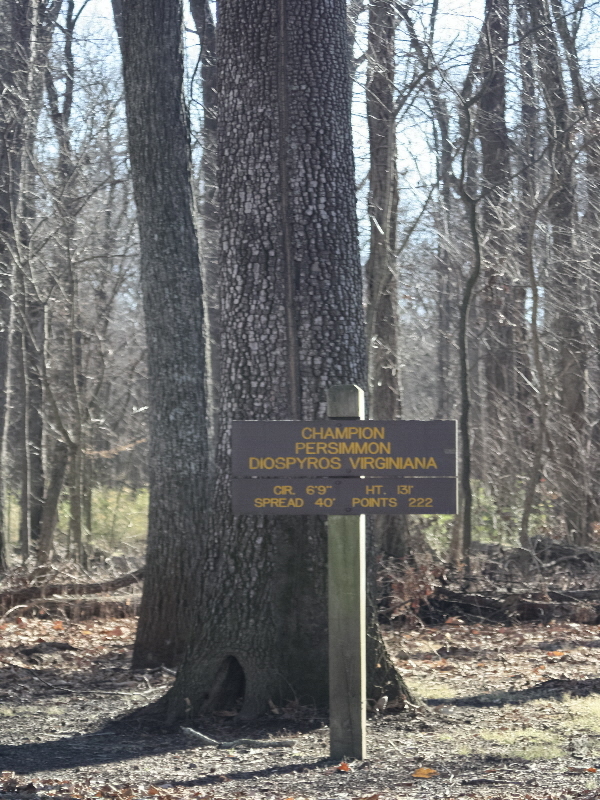 Trees within the park are unsurpassed in the state for size, with six qualifying as state champions of their species and two registered as national champions. Beneath the trees lies a luxurious undergrowth of woody vines that flourish in the swampy land. Large baldcypress trees with their unique "knees" make their home in the park's cypress swamp, the only one of its kind in the state park system. 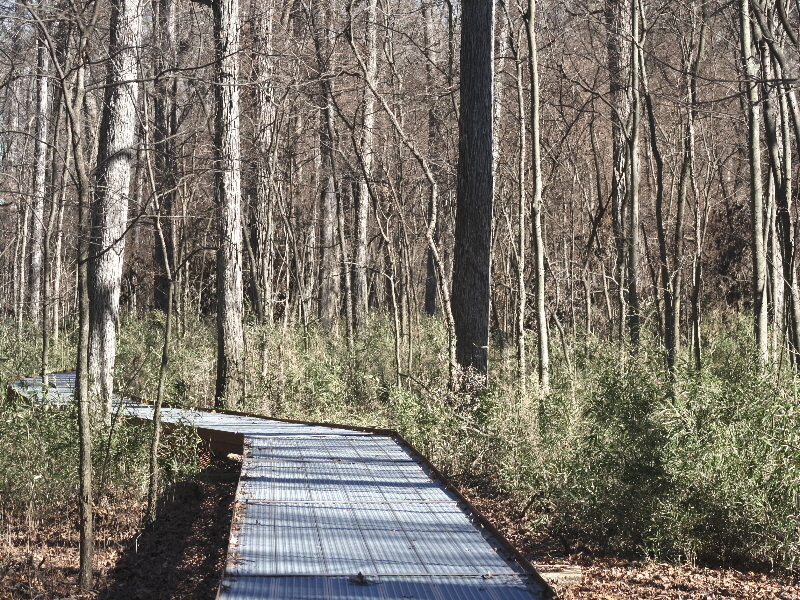 A boardwalk traverses through the park, providing access to the park's unique landscape. An interpretive center near the boardwalk provides educational displays explaining the natural history of the park. 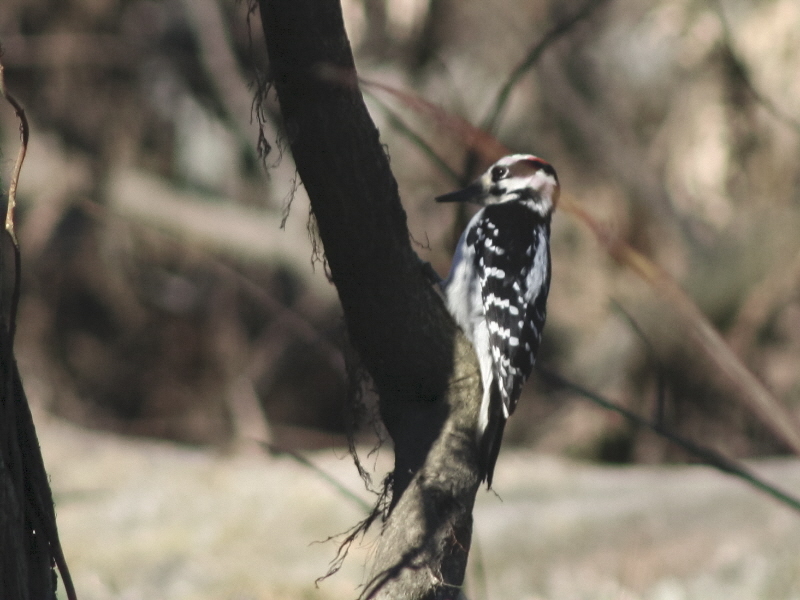 With more than 150 species of birds, several considered rare in the state, the park is a favorite with bird watchers. 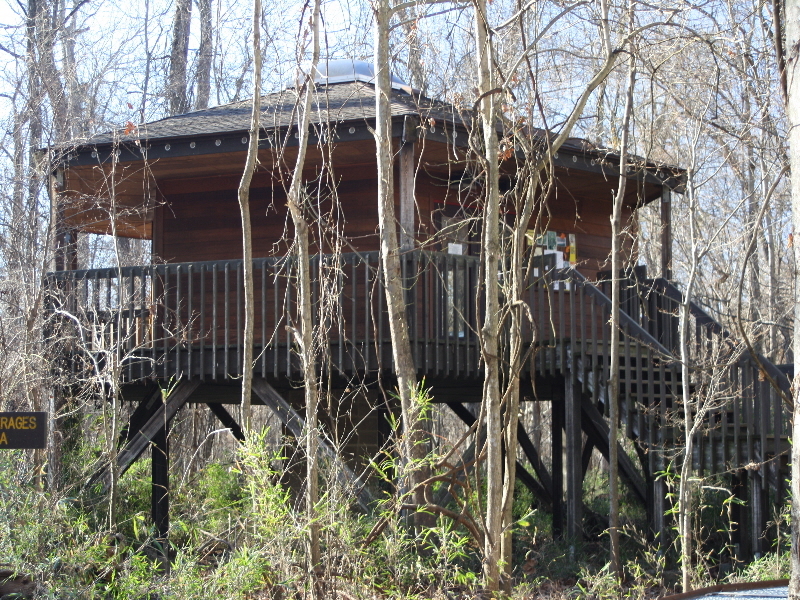 After a nature hike through the forest, visitors can enjoy a picnic lunch under the open shelter or at one of many picnic tables nestled beneath the lofty trees. Big Oak Tree State Park is the last remaining piece of continuous hardwood bottomland forest that once covered the entire ?bootheel? of Missouri. A series of drainage canals facilitated the conversion of swamp forest into agriculture land. 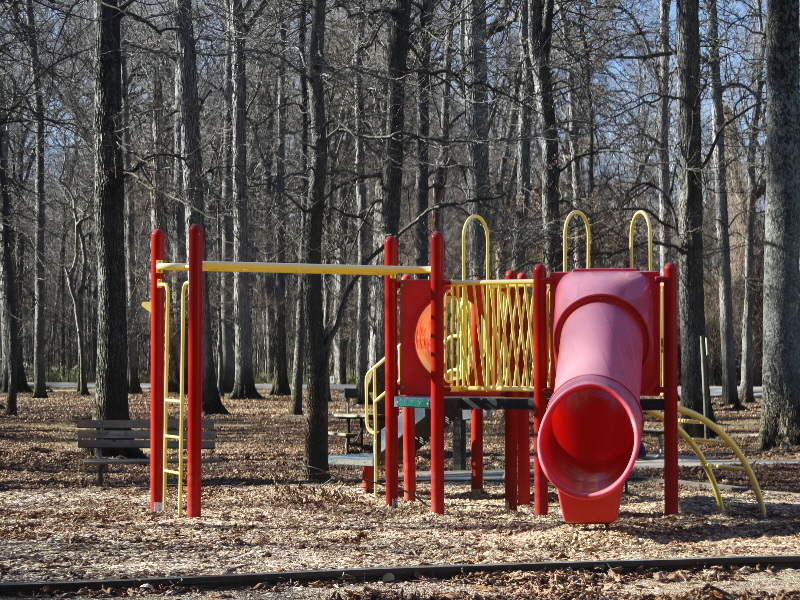 A visit to the park will allow exploration of the major habitats within the park. The major habitats include the bottomland forest, swamp forest and shrub swamp. 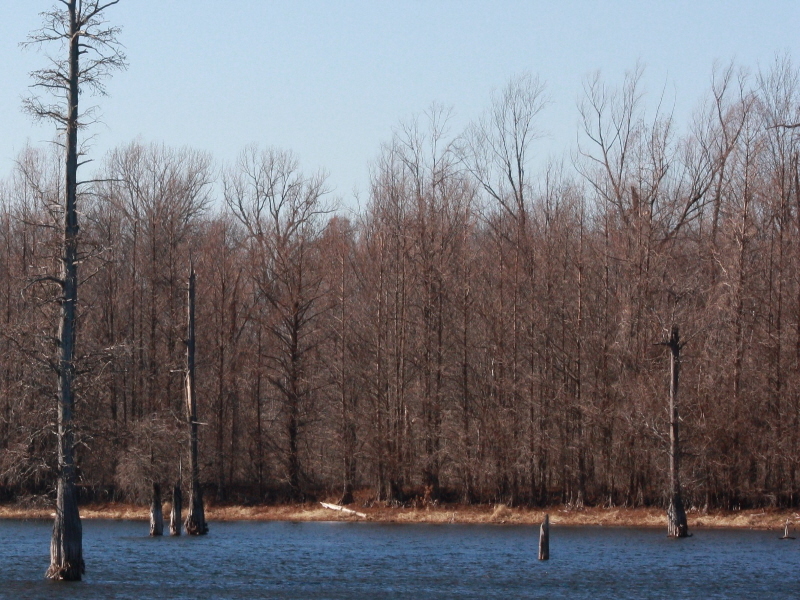 It is easy to find the progressions between sections dominated by oak trees and areas dominated by bald cypress. 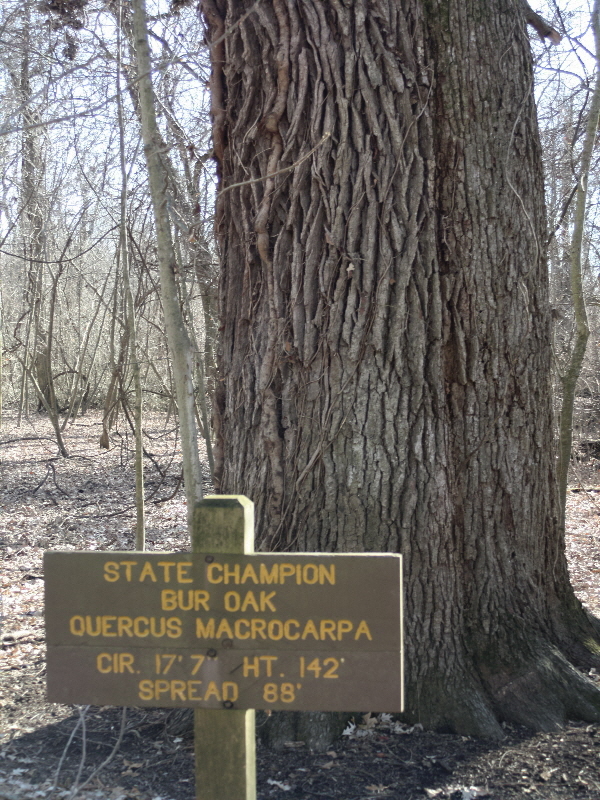 Big Oak Tree State Park is known as the park of champions. Several trees have the status of being state champions for their size. Champion trees are measured in girth, height and crown spread. These numbers are plugged into a formula that generate a point total. The points are then used to determine which nomination is the biggest, or champion, for that species. Big Oak Tree State Park currently has seven champion trees. The number of champions changes due to storm damage or the death of a tree. Two of the seven trees are national champions. One national champion, a persimmon tree is 132 feet tall. The average height for a persimmon tree is 60 feet. Some of the wildlife that live in the park include deer, opossum, raccoon, mice, turtles, lizards and snakes. Although the park has a lot of water snakes, there has never been any verified and documented identification of any venomous snakes such as the cottonmouth (also known as a water moccasin). 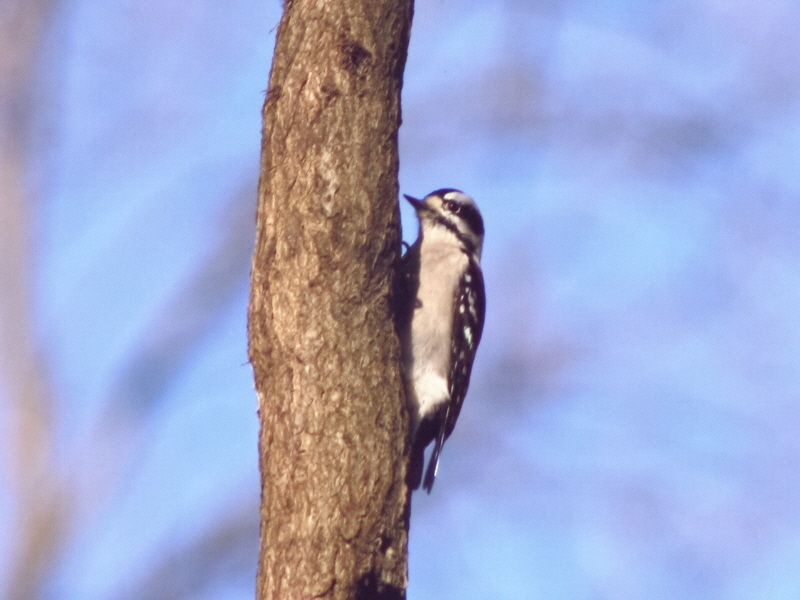 The park is in a great location for many bird species. Mississippi kites may be seen in the summer and bald eagles in the winter. 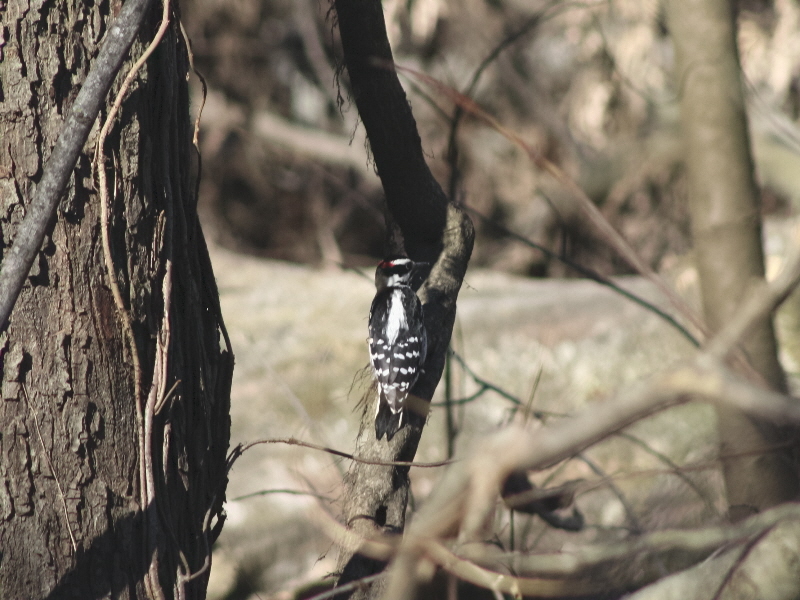 Many migratory birds including warblers, ducks and geese may be seen during the spring and fall migrations. A boat ramp provides access to the 22 acres of Big Oak Lake. The boat ramp is open all year, except during managed hunts. There are no launch fees. Big Oak Lake provides 22 acres of fishing. The lake is stocked with catfish, bass, bluegill and crappie. The borrow pit or moat surrounding the lake is also available for fishing. Swimming is not allowed. 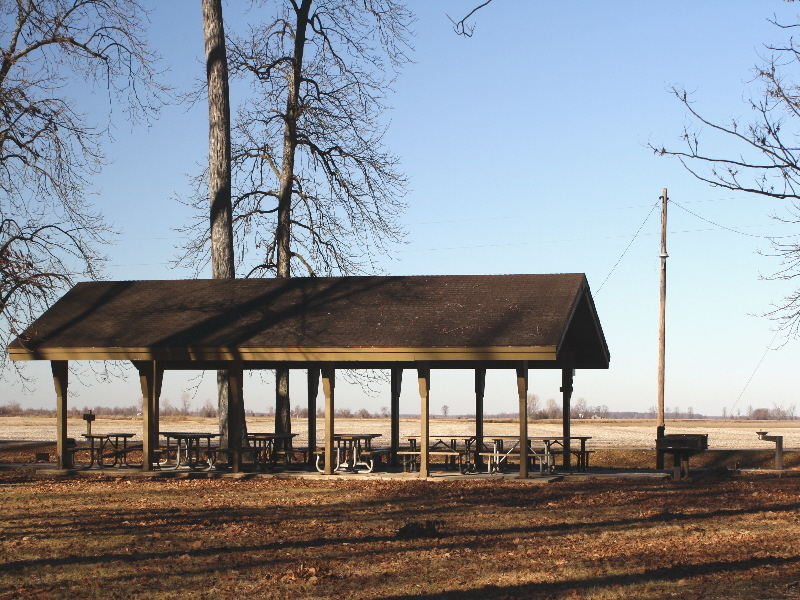 One picnic shelter is available for use and can be reserved for $30 per day. If not reserved, the shelters are available at no charge on a first-come, first-served basis. Occupancy is approximately 75 people. Two large grills, electricity and water are available at the shelter. Ten picnic sites are scattered throughout the park. To inquire about reserving the shelter, please call (573) 748-5340. A naturalist provides interpretive programs on a variety of topics throughout the summer. 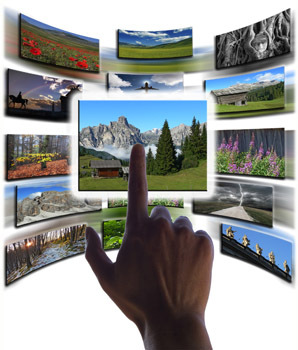 Programs last approximately 45 minutes to one hour. Contact the park for a current list of programs. Opportunities to complete requirements to earn the Junior Naturalist badge are also available. Living History Day is an annual event held at Big Oak Tree State Park. The event is held on the second Saturday in September. Demonstrators show their skills in blacksmithing, weaving, spinning, quilting, woodcarving, herbalism and making bobbin lace, among others. Music is provided throughout the day and concessions are available. From St. Louis: Take I-55 south to the East Prairie/Matthews exit (Exit 58). Turn left/east onto Hwy. 80. Follow Hwy. 80 through East Prairie. Turn right/south onto Hwy. 102. Big Oak Tree State Park is approximately 10 miles from the Hwy. 80/102 junction. Depending on traveling speed, the drive is approximately two and one half hours (154 miles) from Festus to Big Oak Tree State Park. From Memphis: Take I-55 north to the East Prairie/Matthews exit (Exit 58). Turn right/east onto Hwy. 80. Follow Hwy. 80 through East Prairie. Turn right/south onto Hwy. 102. Big Oak Tree State Park is approximately 10 miles from the Hwy. 80/102 junction. Depending on traveling speed, the drive is approximately three hours (175 miles) from Memphis. From Springfield : Take U.S. Hwy. 60 east. 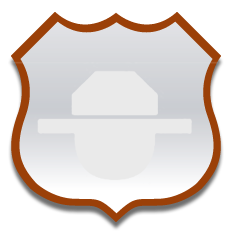 U.S. Hwy. 60 turns into I-57 as it crosses I-55. Stay on I-57 north to Exit 10 at Charleston. Turn right/south onto Hwy. 105. Travel approximately 10 miles down Hwy. 105 and turn left onto Hwy. 102. Follow Hwy. 102 south to Big Oak Tree State Park. It is approximately five and one half hours (277 miles) from Springfield. NOTE: The closest locations for gas and food are East Prairie and Charleston. Both are about 15-20 miles from the state park.